About us Our Practice's guiding principles are those of integrity, choice, value and quality. 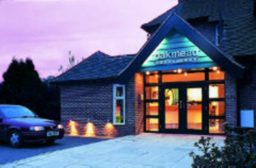 Oakmead Dental care has been an award winning dental practice since 2001 and is one of a select few to have also achieved Gold Membership in the "BDA Good Practice Award". We are dedicated to patient care, and all of our team are trained to the highest standard, in order to ensure that your visit to our Dental Surgery is as un-daunting as possible. We also take pleasure in supporting anxious patients of all ages.